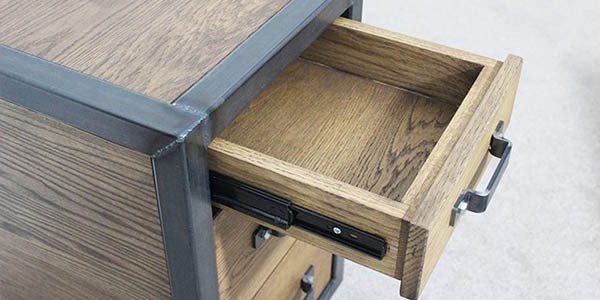 Looking for industrial style drawers to go with your office furniture has been made easy. Here at Russell Oak & Steel we have developed a range of furniture which is completely customisable and features that vintage and industrial style. 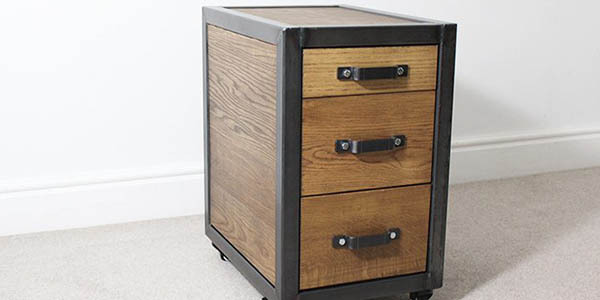 Our main design features 3 Industrial storage drawers on the unit made from solid oak. We will be introducing a new range of industrial drawer units which will be customisable in terms of the number of drawers on the unit. 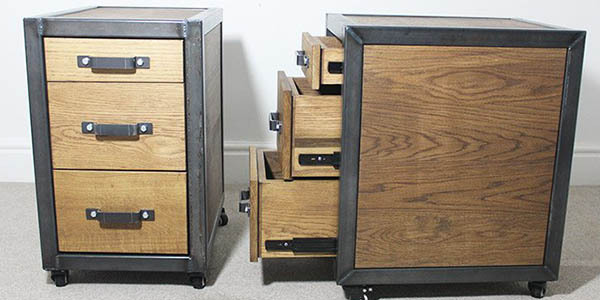 Our industrial set of drawers are available in set sizes online but can be made to your custom measurements. You will need to contact us in order to get a bespoke quote. Single vintage industrial metal drawers will also be available soon from our website. These will again be customisable and will feature the option to have cam locks added, different colour solid oak fronts and options for handles and flap openings. All of our vintage industrial drawers are made from oak and steel. The time taken to produce these products is huge and the attention to detail is second to none. Bulk order discounts will also be available. If you have any questions about the industrial storage drawers please contact a member of our team. 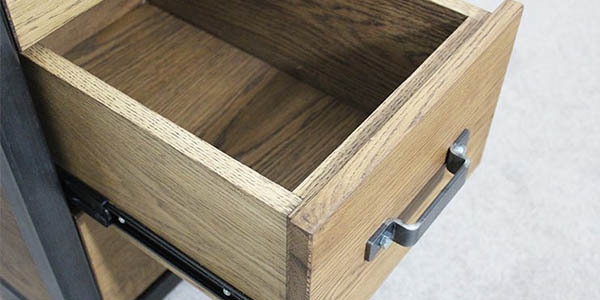 If you have an idea to create a completely new and unique set of industrial style drawers you can contact our bespoke order department and have the chance to work with our designer to commission your own personal industrial drawer unit.